Kalas Associate Glenn Martin will ride once again in the MDA Ride for Life, the world’s largest Harley-Davidson fundraising event benefiting the Muscular Dystrophy Association. Glenn has joyfully given his time, resources and heart to support this charitable event for the past 19 years. Even after so many years of participation in the ride, Glenn still highly anticipates the impact he will be able to make through this event. The Kalas Foundation is proud to be supporting Martin’s 20th MDA Ride for Life! This year the ride will be held May 3-6 in and around Seven Springs Resort in Champion, PA. Over the past 31 years of the Ride’s existence, this event has grown exponentially. 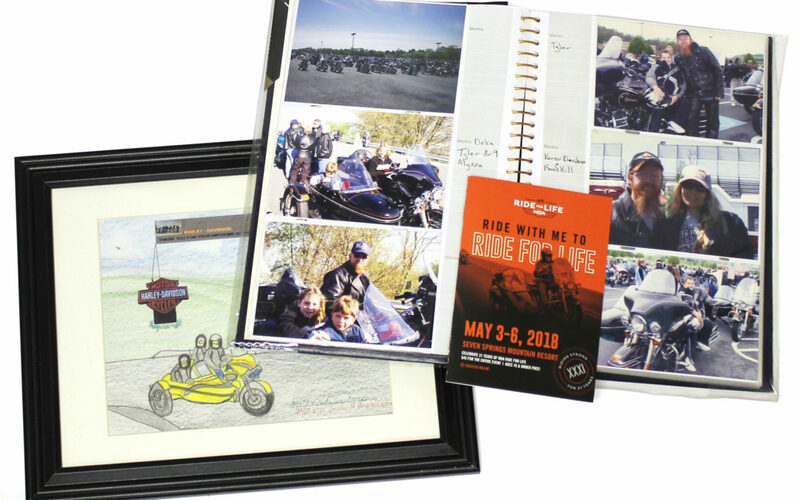 The ride now raises over $1,000,000 yearly, involves various events beyond the motorcycle ride and spans 4 days. It’s a privilege to have associates like Glenn at Kalas who care so deeply about causes such as this. He has been living out the Kalas Foundation’s mission of improving the lives we touch for over two decades and we couldn’t be more proud to support him in doing so. Please join us in thanking Glenn for caring for our community and if you’d like to join us in supporting him during this event please get in touch!